New release: Cake Fox Fashion Eyes. 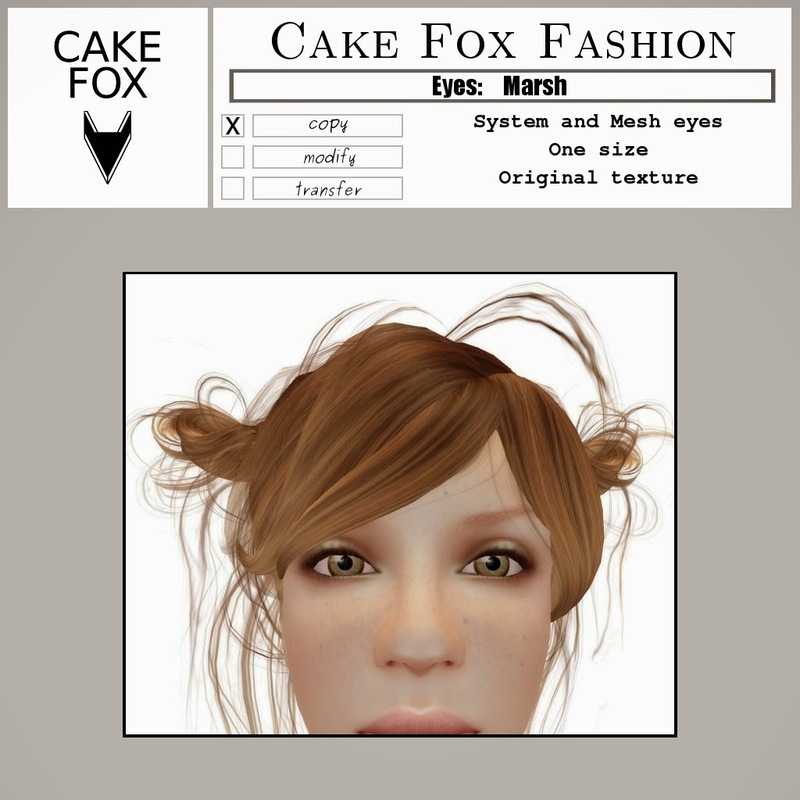 Mesh and system eyes included. One size. Original textures. Nine different kinds to pick from, 15L$ each. Get them at Cake Fox Mainstore.